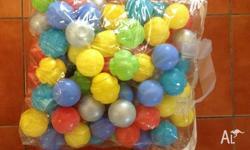 This pack of 250 balls are great fun for your child, and ideal for use in playtents, bouncy castles or inflatable garden toys! 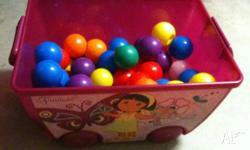 Suitable for indoor and outdoor fun. 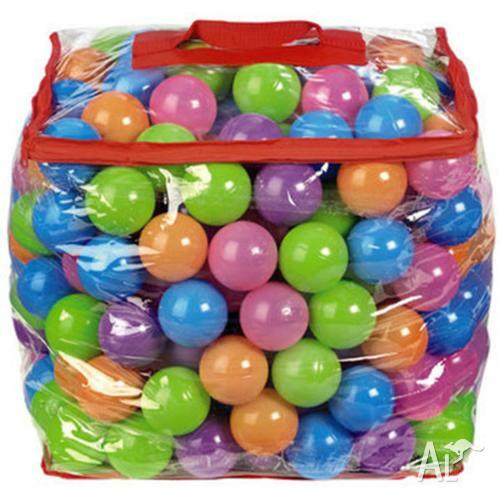 Brightly coloured and made from durable moulded Polyethylene plastic. 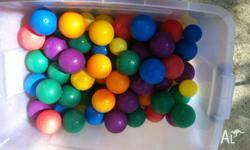 Box of plastic balls. $5. 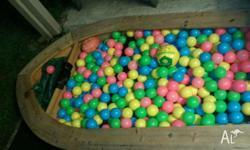 Pool with balls. 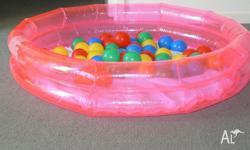 Lots of fun in summer for the young baby or toddler. Still have box.